Having faith doesn't require a religious code or practice. Bestselling author and lecturer Roger Housden, reads from his book Keeping the Faith Without a Religion. Learn to express faith, love, and generosity by trusting in the present moment. Roger Housden's book Saved by Beauty: Adventures of an American Romantic in Iran was available from LibraryThing Early Reviewers. 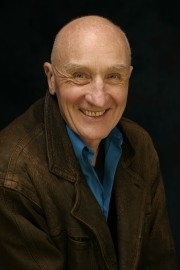 Roger Housden is currently considered a "single author." If one or more works are by a distinct, homonymous authors, go ahead and split the author. Roger Housden is composed of 6 names. You can examine and separate out names.